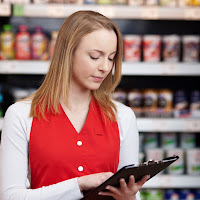 Retail audit apps have revolutionized the way audits and inspections are performed at the point-of-sale. First of all, retail audit apps have eliminated the huge amount of paperwork that had to be transcribed, scanned, etc. Also, decision-making concerning issues that arise during audits on the part of brand and category managers, merchandisers, sales managers, among others, now has come down to sometimes a matter of minutes (if not, seconds) instead of the days it used to take for the information to flow from the field to the appropriate office. Ease of set-up and use, ideally independent from IT departments and contractors. Ability to customize mobile forms to your business needs so you can get the exact information you need from your retail audits and inspections. Scalability of the retail audit app platform, so it can adjust to your business size. Availability of the collected data - it should be available 24/7, ideally on a cloud server. Ability to spot fraudulent check-ins, so you can be sure that the information you need is coming from the correct location. One thing you shouldn't need to worry about, however, when choosing a retail audit app for your business is how much you will invest in equipment. We explain: Most apps on the market today are cross-platform, meaning they can be used either on iOS (Apple) or Android smartphones and/or tablets. This allows your field auditors and reps to use the devices they already own - and know how to use - to do their job and your business to benefit from the fact that roughly 96% of smartphone/tablet users these days carry a device on either one of these platforms, according to the IDC. VisitBasis Retail Audit App is a complete retail audit solution that offers all the elements needed to perform mobile POS audits and surveys in one package - learn more at www.visitbasis.com. VisitBasis Retail Audit App is available at Google Play and App Store and can be downloaded for free for an unlimited number of users.